Britain’s milkmen and their customers have been boosted by Müller Milk & Ingredients’ proposal to reverse the planned closure of its Hanworth dairy, one of the country’s largest glass bottle milk factories. The announcement helps to secure the future of the traditional British glass milk bottle. Müller also plans to rejuvenate and expand its milk&more doorstep delivery business, which delivers milk and other daily essentials to more than 600,000 homes across the country. The moves follow Müller’s acquisition of Dairy Crest’s dairy operations in December and a subsequent review of the milk&more business and the Hanworth dairy near London, which were both part of the deal. Dairy Crest had announced the closure of Hanworth, which was founded in 1847 and was one of the first dairies to introduce pasteurisation in 1912, but the proposals to reverse the closure could secure future employment for up to 170 employees based there. Müller will now fully consult with all employees at the site. The milk&more business, comprising 1,190 milkmen and women, and the Hanworth dairy will be integrated into a new, single business led by Patrick Müller. 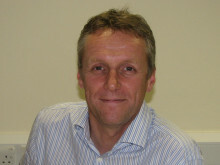 Patrick Müller, Head of milk&more, says: “When Müller acquired Dairy Crest’s dairy operations in December we committed to taking measured decisions as quickly as possible to build a sustainable fresh milk business in the UK. “This was an easy decision to make. milk&more is a great business driven by employees who are talented, committed and passionate about what they do, and the Hanworth Dairy is an integral part of the supply chain for the doorstep delivery business. 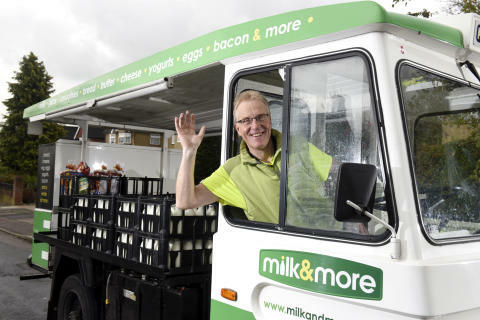 milk&more Milkman of the Year 2016, Neil Garner, said: “This is brilliant news! Our customers love fresh milk in glass bottles. For many they are just what the doorstep delivery service is all about and they regard them as being as much of a British institution as the milkmen and women who deliver them. Being a milkman means you are part of the community and it’s a big part of why I love my job. We get to know our customers, often over many years, and they depend on us to deliver come rain or shine. Müller UK & Ireland is wholly owned by the Unternehmensgruppe Theo Müller. It employs around 9,000 people in a business which comprises two distinct business units: Müller Milk & Ingredients and Müller Yogurt & Desserts. Müller Milk & Ingredients aims to be the biggest and best fresh milk and ingredients business with a network of dairies and depots servicing customers throughout the country, producing skimmed, semi-skimmed, whole, and flavoured milk products for brands such as Black & White, The One, freshnlo and FRijj . It also has the capacity to produce salted, unsalted and lactic butter each year for both the domestic and international markets. The acquisition of Dairy Crest’s dairy operations in December 2015 marked a milestone in Unternehmensgruppe Theo Müller’s global growth strategy and in particular its aspiration to place much more emphasis on end to end supply chain innovation, adding value to the UK dairy category. milkandmore.co.uk is a direct, local, delivery service. It combines the best of traditional milkman delivery with the convenience of modern online shopping. Simply place, check, or change your order online up to 9pm the night before your next delivery. No hassle, no queues, just a great service, brought straight to your door, all from the same friendly milk&more milkman. milk&more offers everything from bread to breakfast cereal, and yogurt to tin foil. milk&more milkmen deliver 250 million bottles of milk every year. There are approximately 1,190 milkmen and floats delivering the milk&more service to 600,000 homes. Proposals designed to secure a sustainable and vibrant future for Britain’s biggest fresh milk and ingredients business have been confirmed by Müller Milk & Ingredients (MMI). Müller Milk & Ingredients has confirmed that it will proceed with plans to invest £60m to upgrade its network of fresh milk and ingredients dairies in Britain, creating up to 180 jobs.